As a dental office in Houston, we treat patients dealing with a variety of oral health problems. We place dental crowns and other restorations on a regular basis, and one thing people very rarely consider is that their restoration is not infallible. It is possible for a crown to become damaged just like a natural tooth can. 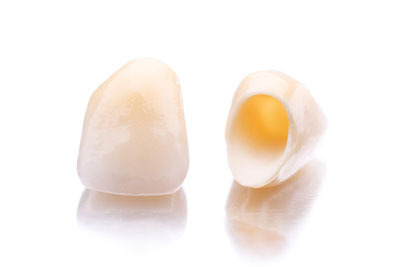 While they are incredibly durable and strong, if you are in an accident or bite down on a piece of ice, you could damage your crown. If this happens, give us a call. Signs of tooth damage to watch for. If a patient feels a rough edge on a tooth after running the tongue across it, it can be the sign of a chipped tooth. Actions such as biting down on something hard or being hit in the face can cause a chip. In this scenario, we recommend that you call and schedule an appointment for us to examine the tooth or restoration and correct any damage. If a dental crown is feeling loose, call our dental office right away. The patient can accidentally swallow a loose crown. We will try to see the patient immediately to remove the loose crown and replace it. If at all possible, do not go to sleep with a loose crown. When one visits our dental office, we will begin by examining the teeth to determine what the source of the problem is. If the individual already has a dental crown, we will determine whether the crown is the problem, the tooth underneath has also become damaged or is infected, or if both are damaged. To make this determination, we will take X-rays in addition to physically examining the tooth. Next, we will discuss the treatment options. If the dental crown has a small amount of damage, then we may be able to fix it by smoothing out the crown and placing bonding material. In some cases, the bonding material will do the trick and will be the fastest way to restore it. However, if the damage is more extensive to the crown itself, we will need to remove it and replace the crown. This will be a two-step process so the lab has time to create the new crown. If the tooth underneath is damaged or infected, we will need to remove the crown, remove the infected portion of the tooth, and place a crown around it to complete the process. The process will typically require two to three appointments to fully restore the tooth. In rare cases, the tooth underneath the crown is either too infected or too damaged to be restored. In this case, we might suggest extracting it and replace the tooth with a dental bridge or dental implant. If this is the case, we will discuss the pros and cons of all the options with you, so you can make an informed decision regarding your dental care.